January brings a new year, and a new year birding list. Keeping a list of the all the birds you see in a year is an excellent way to review what birds you have seen and track your birding accomplishments throughout the year. Although January marks a new beginning, most songbirds, shorebirds and raptors have migrated for the winter leaving birders in the north with little to look at. But wait! Your backyard feeders are an excellent place to start looking for birds in January! A drop in barometric pressure may be a signal to birds that a storm is coming and they should prepare by visiting your feeder. Frequent winter visitors at your feeder may include birds such as Fox sparrows, American Tree sparrows, Blackbirds, Chickadees, Dark-eyed juncos, Common redpolls, White-throated sparrows, and Grackles . Woodpeckers and Nuthatches are particularly fond of suet which is high in fat content and helps keep them warm. 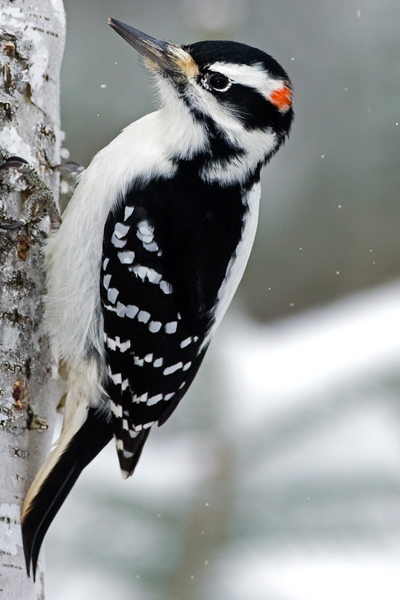 These birds typically breed farther north and only visit certain regions in the winter. Another great way to attract winter birds to your backyard is through providing them with a source of open water. It may be too cold to keep your bird bath from freezing, but consider using a bird bath heater. Birds are desperate for water during cold weather and if you provide winter birds with fresh water this year, you can sit back and enjoy the constant traffic! Check out more info on providing water from Wildtones!